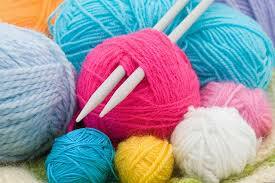 With over 50 years experience in knitting, I make many items. Some of the most popular items I make are: BARBIE CLOTHES and other DOLL ITEMS, CAT TOYS, CHAIR FEET COVERS, DISH CLOTHES, HAND TOWELS, POT SCRUBBERS, BABY BOOTIES and CHILDREN”S HATS. Other items I make are: MICROWAVE BAGS, SLIPPERS (sized from NEWBORN to ADULT SIZES), TEA COZIES, CLOTH BOOKS FOR CHILDREN, BABY BLANKETS, GROCERY BAG HOLDERS, FINGERLESS MITTENS, SWIFFER COVERS and also HOCKEY CARDS.